As Vice President, Online, Mobile & Social Media for 1-800-FLOWERS.COM, Amit’s responsibilities include management of the Company’s online marketing as well as leading the strategic direction and tactical growth of mobile and social commerce. He also leads the innovation group for the company across the portfolio of floral and gourmet food brands. 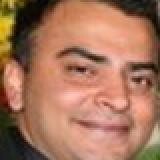 Amit also manages Company relationships with key online, mobile and social partners. Amit’s innovative work in digital marketing and mobile commerce has been quoted widely in publications like the New York Times and Ad Week. Under his guidance, 1-800-Flowers.com continues to be a leader across the spectrum of online, mobile and social experiences and has been recognized with numerous industry awards.